A lot of people are having a hard time thinking of an ingenious gift for the holidays. During Christmas you come up with unique ideas to surprise your loved ones or friends and each year you end up giving them either the same old cologne, tie, or sweater. If you are looking to blow them away this year, you need to step up your game and consider a Myrtle Beach golf vacation instead. Whether you are giving it to a casual golfer or a professional player, you can be sure that everybody will have wonderful time on and off the golf course at the Grand Stand, which is a major tourism destination. It features over 80 golf courses within sixty mile radius surrounding Myrtle Beach, the Grand Strand provides different range of top notch caliber golf courses, from the Lowcountry links on what used to be rice plantations to the waterfront links along the Intracoastal Waterway and the Atlantic Ocean. Add the oceanfront accommodations offered at the luxury resorts and a wide variety of nightlife, dining, and shopping options, a golf trip to Myrtle Beach is surely the best gift idea. Apart from all that, the price of a Myrtle Beach golf package is quite affordable than what you initially thought. Thanks to the special relationship that Myrtle Beach Golf Directors have with the many different major courses as well as several resort hotels on the Grand Strand, you will get golf packages at the lowest price possible. Myrtle Beach Golf Directors provides its guests with only the best deals on hotel accommodations, tee times, and more. Myrtle Beach Golf Directors offers a broad array of package plans to pick from like golf only plans for the best costs in the area and golf packages that provides different benefits like accommodations and car rental. 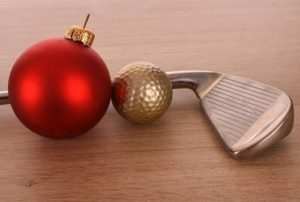 Whether it is for two days, one whole week, or much longer, a golf package is the one great Christmas gift that you can customize for the loved one who also an avid golf player. So why spend countless hours shopping for a special gift when you can just go on a golf trip in Myrtle Beach. Going on a golf vacation can both be tiring and exciting. 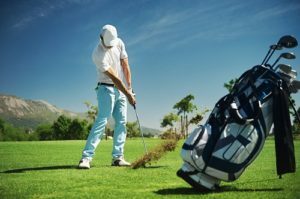 If you really want to ensure that your next golf vacation is more enjoyable than the last one you had, here are a few tips that can lessen the hassle and minimize the possibility of encountering problems during your trip and when playing in a golf course. You have to bring an extra pair of sandals and golf shoes. If you check the market, you will notice that golf shoes resemble regular sneakers, which means you can use them not only when playing but also when hanging out at restaurants, malls, pubs, and etc. Meanwhile, having an extra pair of sandals means you have something to use during off course hours. It will let your feet breathe whether you are in a hotel or condo, in transit, or perhaps near the swimming pool. The travel bag’s quality is also very important. It is recommended to bring one that has wheels so you can easily transport it especially at airports. You should also insert a towel covered broomstick that’s longer than the driver or a Stiff Arm into your travel bag. It will help take in the impact just in case your travel bag gets dropped accidentally upside down. Of course, whether you are on a golf vacation or any other golf trip, you have to make the most out of your stay especially in Myrtle Beach. Based on the length and the frequency of your golf game during your trip, you will have better chances of playing a full round or nine holes within two travel days if you leave early and return late during the departure day. You should consider shipping golf clubs to your final destination especially if you are going on a tight connecting flight. Think about participating in a traveler’s game. Divide the round into good holes like pars or birdies, OK holes such as bogeys and double bogeys, and others. Once the round is finished, check if you managed to get a good number of good holes and ok holes, and just a couple of the others. This will greatly help in equinamity and lead to a fun and more exciting excursion. Always bring your umbrella as well as your rain pants with you just in case in pours when you are about to or currently playing golf. Many golfers tend to select a shirt, rain jacket, sweater, wind vest, and so on when heading to a marquee destination. Don’t forget that you have to same some space for your mementos, which will mark your wonderful adventure and experience in and out of the golf course. In case you are going on a Myrtle Beach golf vacation with your family and friends, go with a big rental car. Make sure that all of you are comfortable by booking a large SUV or perhaps a minivan. Call Myrtle Beach Golf Directors for the best golf packages and golf courses in Myrtle Beach. Halloween is just around the corner and it is now the best time to check out five high profile golf courses in Myrtle Beach that can haunt a round. Although they are not the hardest hole the course, they are certain challenges that can transform your round from treat to trick with just a single loose swing. Any hole that gained the nickname Waterloo has more than a trace of danger, and that is definitely the case with the par 513th at the Dunes Club. The infamous dogleg right, that plays around Lake Singleton, usually as a congregation of alligators on the banks, contributing to the mysteriousness of the most iconic challenge in Myrtle Beach. Players punishes recklessness but rewards those who dare especially on the first two shots. This Waterloo is sure to be unforgettable whether it is a trick or treat for you. The 15TH at Tidewater is considered as the easiest, it is a par 4 playing that is only 323 yards away from the trees. But don’t let this fool you. Even though the hole is short, it is a dogleg left with wetlands in front of a green that is shallow and long. You’re in a bunker or even the wetlands if you miss short. If you go long and you will be playing in a tightly mown swale. At the center of a memorable back nine, never sleep on it, because this is the well known trap hole. We can never leave a hole that responds to Hell’s Half-Acre off a Halloween list, so be prepared to go once you reach the 16th tee at Legends Resort’s Moorland Course. The hole plays only 223 yards from the whites tees, which will dare you to try and drive the green on the par 4. Most players are able to hit the ball 220 yards, but in case you miss, you’ll be facing a witch’s brew of trouble. Five pot bunkers as well as swales that are filled with native and gnarly grasses that can leave you asking for mercy surround the green. You can play 2 wedges to be on the green, however, if you plan to tempt fate, this is the best golf hole to get it done. The part 5 Ninth located at Rivers Edge, which is referred to as Arnie’s Revenge, is among the most talked about holes in Myrtle Beach today. It is beautiful to play along the Shallotte River, however the green is not wider than Kate Moss is makes it the biggest challenge. Even for long hitters, this green cannot be accessed in two since it cannot be held. Arnold Palmer was loved however, The King felt a bit salty when he made this beauty. Since Palmer is included in this list, then it is only natural for Jack Nicklaus to have an entry, and Pawleys Plantation’s 13th is among the scariest creations of the Golden Bears. The hole usually plays between 70 and 80 yards. Since the green is exposed, the wind usually blows off the close by Atlantic, which helps make the tee shot among Grand Strand’s most daunting challenges. Call Myrtle Beach Golf Directors if you are looking for great golf courses in Myrtle Beach. A lot of golfers in different parts of the world envy those who are in Myrtle Beach since they can play golf all year round. 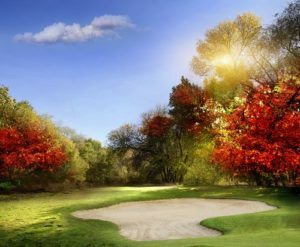 But one of the best times to play golf is when the golf course is surrounded by vibrant colors of the fall season. 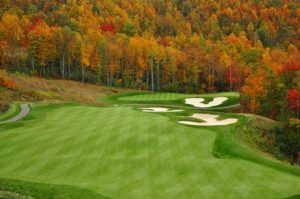 If the beautiful setting is not enough to convince you, provided below are some of the best reasons why fall is a great time to play golf. Although there are fall days that could be nearly as bright and warm as a summer day, you don’t have to battle with as many packed foursomes behind and ahead of you. Therefore, you will have a little more time to enjoy a good round of golf at your pace and less likelihood of an anxious group of golfer behind you closely watching your every shot. If you have played golf on a regular basis throughout the summer season, your game is most likely the best it has been all year round. By playing in the fall when you are in your best form, you can bring your game to a level it has not been to and have much less downtime before you get on the golf course again in the spring. Several Myrtle Beach golf courses will lower their rats after the 30th of September to encourage more golfers, both new and seasoned, to play. Not only will you be able to play a good game of golf, you will also get to save some cash. There is no doubt that certain fall conditions can present distinctive challenges to your game. Apart from cooler temperatures, winds could also be much stronger, and the golf course condition can be much more damp, particularly in the mornings. Rather than sitting at home staring at your TV, you can go to the golf course in Myrtle Beach and challenge yourself. You brought your golf game to its finest for the season by golfing all throughout summer’s great conditions. Just imagine how much you have improved and you can test it by playing golf in the fall. If you and your golfer friends constantly go on a golf vacation to keep your game in tip top shape during the winter, you can bridge the gap by playing golf in the fall. By doing so, you will be the one who will get the free drinks and dinner once you win the round. The heat during summer can put a lot of stress on even the best course maintenance and irrigation systems. However, grass usually enjoys a good growth spurt during the fall season. Apart from the vivid colors, now is the best time to enjoy a lush golf course that is been cultivated from a full season of constant grooming. It does not matter how well you are playing, it is always recommended to get regular golf lessons to ensure that your swing is always in shape. That can be hard to achieve during summer. But in the fall, golf pros and newbies will have more time to take golf lessons and perhaps even spend a more time to assist you in improving your game. If you are planning to play golf in Myrtle Beach this fall, call Myrtle Beach Golf Directors now. Experience Vs. Material Gifts: Which is Better?